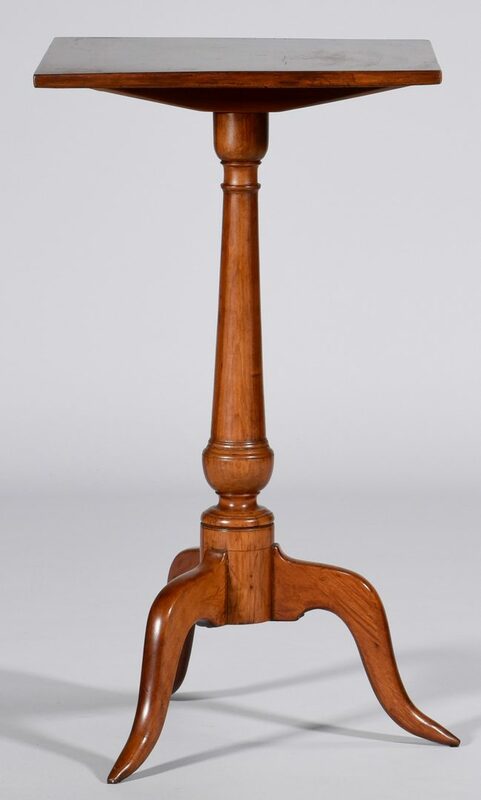 Lot 585: New England Maple Candle Stand. 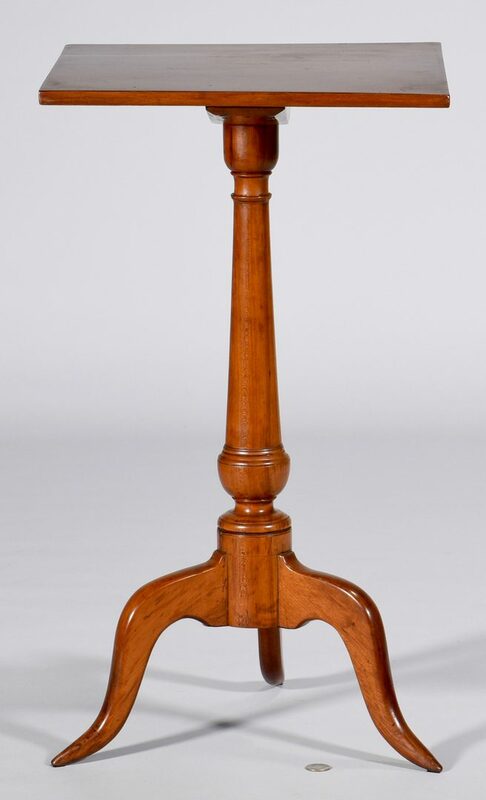 You are here: Home >> July 30, 2016 Historic Southern Summer Auction >> Lot 585: New England Maple Candle Stand. 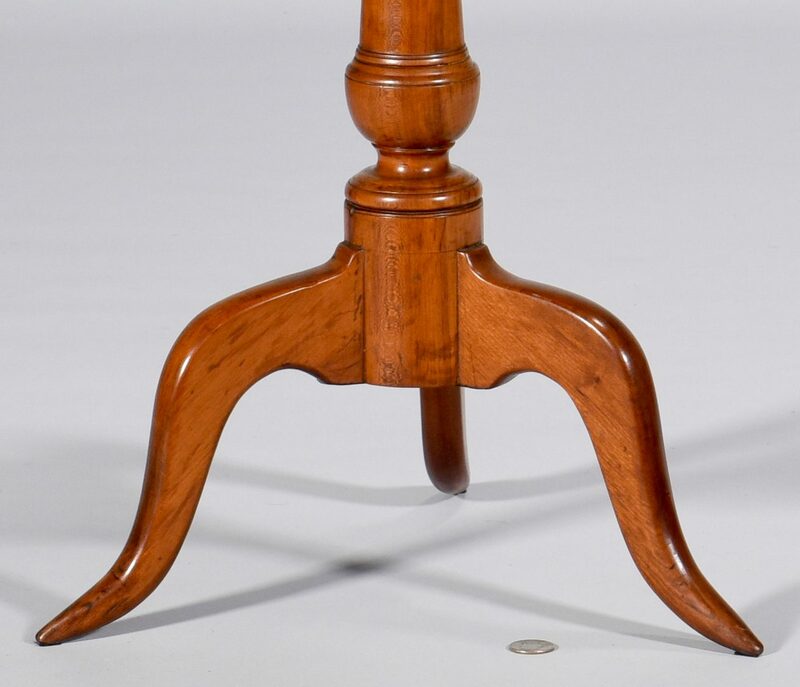 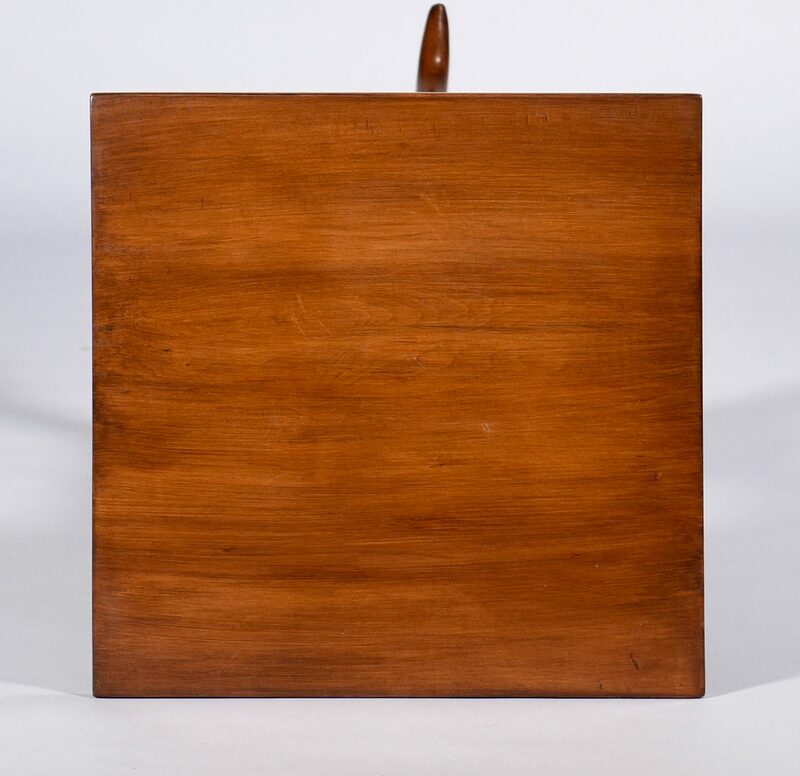 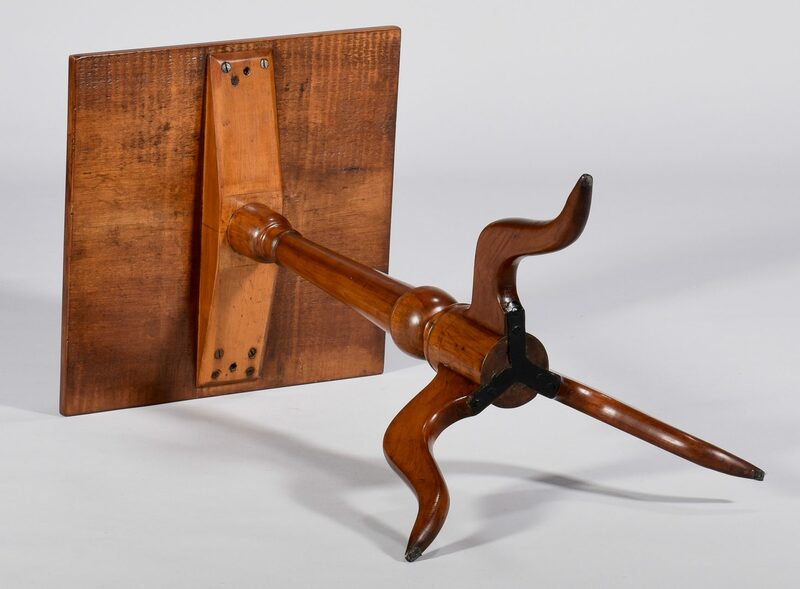 American Queen Anne maple candlestand, comprised of a square top on ringed and turned standard with tripod base, cabriole legs ending in delicate pointed slipper feet. 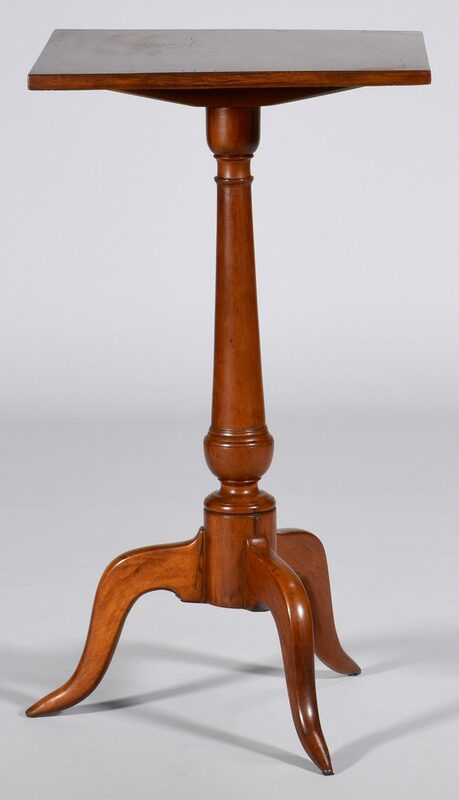 27" H x 15" W. New England, possibly Rhode Island, Late 18th/Early 19th century. CONDITION: Very good condition with older refinish.